One of the absolute best parts of traveling is the food! Depending on where you plan to take your next trip, however, you may want to be aware of the various food and drink bans that exist in different countries. The last thing you want is to be fined for eating the forbidden fruit -- literally! Since the 1990's, there has been a ban on the sale, import, and manufacture of chewing gum in Singapore. Known for being quite the clean nation, Singapore ran into trouble when they discovered that chewing gum had been impeding the efficiency of their public transit system. Used gum was constantly being found in between the train doors, keeping them from opening and closing correctly. People were also bothered with the amount of gum stuck in public places, like under restaurant tables or on sidewalks. In 2004, doctors and pharmacists were able to start prescribing "therapeutic" gum to people with a medical prescription. 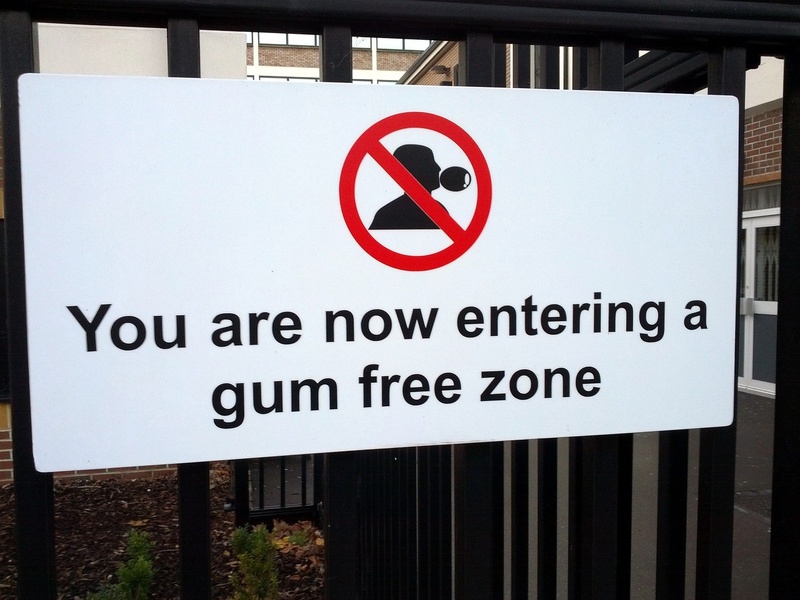 Gum to help kick people’s nicotine addictions has also been deemed acceptable. But if you are walking down a busy street in Singapore and get a craving for your favorite minty stick of gum, think twice – you could be slapped with a pretty heavy fine! The national dish of Scotland, haggis, is loved by most Scots. The traditional food consists of the offal (internal organs) of a sheep or calf mixed with oatmeal, spices, and fat. The dish is usually boiled in a bag made from the animal’s stomach. In the 1970's, imports of this iconic food were banned in the United States. The ban was due to one main ingredient: sheep lung. In the States, it is illegal for animal lungs to be used for human consumption. The USDA has ruled that no food can contain animal lung, whether it is imported or made domestically. Any American craving haggis will have to jump on a plane to Scotland! French elementary schools have limited the amount of ketchup available in school cafeterias. Salt and sauces, like ketchup, are now no longer freely available and are only served based on the main dish on the daily menu. Part of the reasoning behind this regulation was to increase health initiatives, as the children wouldn’t be tempted to smother their foods in added condiments. The limitation was also designed to help protect the food culture in France. The French government hopes that this will help young people in the country become familiar with traditional French food recipes so that they can help pass them down to future generations. Kinder Eggs have always been a hit with children. What can be better than getting chocolate and a toy in the same compact package? But bad news for American children -- the popular treat was banned for decades. 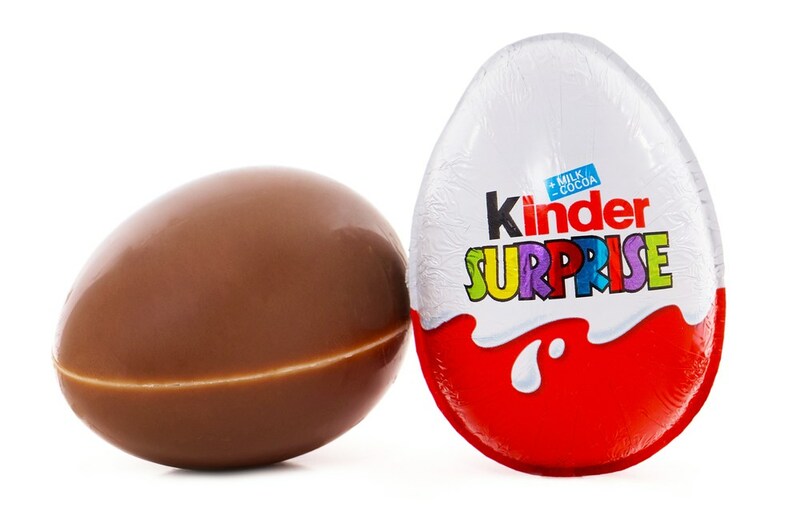 The Consumer Product Safety Commission (CPSC) ruled that the Kinder Eggs be banned from being imported into the US, due to safety concerns. Since the eggs were made primarily for children, including children under three years old, they said it posed a choking hazard because of the small toy parts. But this ban didn’t stop some people! Since the eggs were still legal in Canada and Mexico, fans began smuggling them into the USA. According to the US Customs and Border Protection, more than 60,000 smuggled eggs were seized at border crossings in 2011 alone. Some people who were caught smuggling the eggs into the country were charged thousands of dollars in fines -- per egg! Translated from French, “foie gras” means “fat liver” -- and that is exactly what it is. Birds are force fed abundant amounts of food, causing large fat deposits in their livers. This controversial practice has led to the delicacy being banned in many countries, including India, Argentina, and parts of the United States and Europe. It is still relatively common in France and some other European countries, however. Most countries in Europe are still importing the product, but the production process violates already established animal rights laws. Although it is banned in more than 10 European nations, you can still find it relatively easily. Food is a powerful aspect of any society. Check out our blog 10 Ways Food and Social Tradition Influence Culture to find out how prominent its role really is! Cuisine is just one of the many differences you can find between cultures. Interested in learning some more? Head over to another one of our blogs, Family Units Around the World to learn about how families operate in different countries. Understanding cultural differences like these will help you when you are traveling for work or for pleasure or when doing business in another country. Intercultural training can help teach you even more!